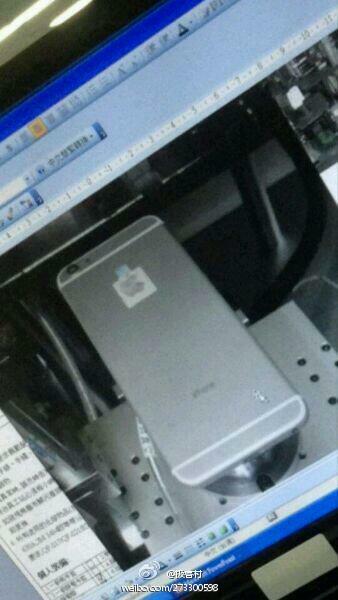 A set of images posted on Chinese microblogging site Weibo (via GforGames) may depict the iPhone 6 under development at Foxconn. Said to be sourced directly from Apple's manufacturing partner, the images show an iPhone with a slim chassis, rounded corners, and a protruding camera lens, similar to the camera in the iPod touch. 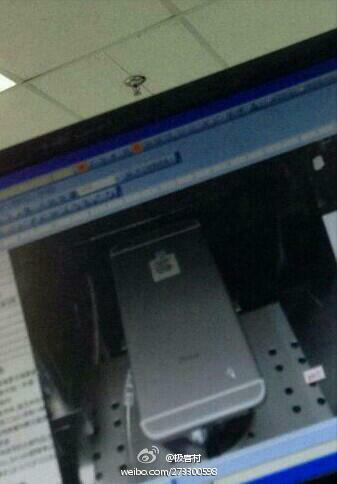 The device appears to be taller and potentially wider than the existing iPhone 5s. The design is potentially in line with some leaked facts about the iPhone 6, including the thin size of the device, but the quality of the images makes it difficult to determine the veracity of the iPhone in the picture. The text is unreadable, and though it is hard to see the phone's flash to glean more information, it appears to have rounded design. Apple introduced a much-improved pill-shaped True Tone dual LED flash with the iPhone 5s and it is unlikely to deviate from that design in the next iPhone. 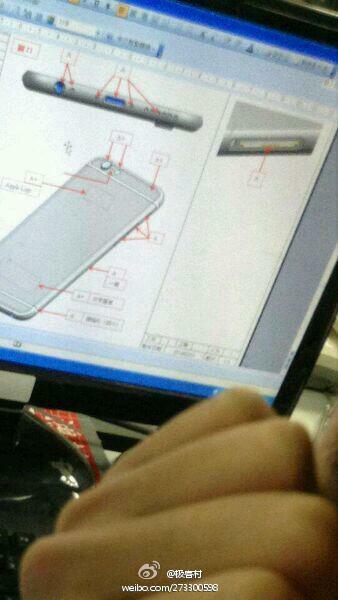 Schematics are also included in one of the pictures, but do not appear to indicate the size of the device. Apple's next iPhone is said to come in two display sizes, one near 4.7 inches and the other at approximately 5.5 inches. The front of the device is not depicted, but rumors have indicated the iPhone 6 display could have an edge-to-edge design that does away with bezels. The upcoming phone, which may or may not be depicted in these photos, is also said to include an upgraded processor and an improved camera. Why do actual Apple rumors always end up on the 2nd page, while stuff like analyst speculation / lawsuits / amateur renderings / new products from competitors go on the front page? Edit: This was moved to the front page, you can ignore my comment. Thanks for listening MacRumors! The question is: What will do Foxconn when Windows XP support finishes? I haven't used Microsoft Word 2003 since 6th grade. As a side note, this actually has a lot more chances of being representative of the next iPhone than the renderings (https://www.macrumors.com/2014/03/31/iphone-6-concept-sapphire-glass/) currently on the front page. As I pointed out in the very first comment of that article, the artist based himself on iPhone 6c drawings to make his iPhone 6 renders, which is why it doesn't have plastic gaps for radio transparency (which the iPhone 6 would of course need). Not only did you guys not mention that, but you incorrectly said that it was based on iPhone 6 drawings, contradicting your own previous reporting (https://www.macrumors.com/2014/03/28/drawings-iphone-6c/). Sorry but 9to5Mac is starting to look more and more attractive for Apple rumors. Both in terms of timing and accuracy. Edit: This was moved to the front page, you can ignore the first part of my comment. Thanks MacRumors! That is a really great question. I would like to the the editors of macrumors answer it. I moved the post after reading your comments. I initially did iOS blog because I think the images look a bit off because of the flash, but we're always 100% open to your guys' suggestions and I agree this is probably more interesting than the lawsuit that was at the top of the front page. 3 Pictures taken of a computer screen showing a word document on what looks to be Word 2003 and as commented by others probably running on an XP machine. I have no clue about the validity, but I certainly hope that our iPhones are not being made in a factory driven by 10 year old computers. That alone is of more concern to me that the plausibility of the photo of a screen being a real iPhone. Not saying these are valid, but you would be surprised as to how many manufacturing plants are still using XP. Alot more than you would think. I really wish Apple would stop focusing so much on making every new iPhone design thinner and lighter. Not once have a picked up my 5S and thought "damn, this phone is just too thick and heavy." But I have thought "Ugh, I can't believe my battery is dying already" on quite a few occasions. I was fine with the weight and thickness of the 4/4S and the 5/5S is definitely plenty thin and light. At this point, I would rather Apple keep the thickness the same and give us noticeably better battery life. I hope the camera doesn't protrude from the case. For some reason it really bugs me on the iPod. its the next HTC One (M9)!